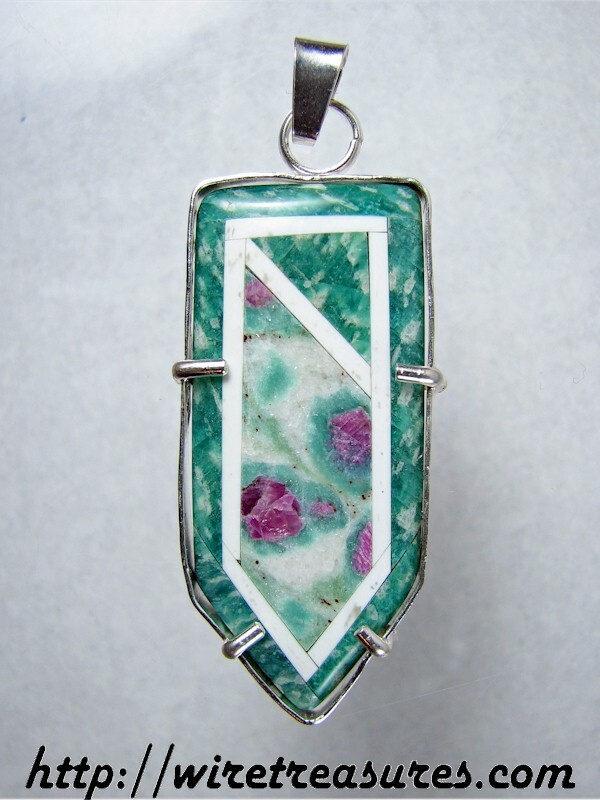 This pendant's focus is Ruby in Zoisite. It is surrounded by Howlite and Amazonite. The back is pale Jasper. The piece is supported by a Sterling Silver frame and a bale that will hold your heavier chains. This pendant is 2-1/4 inches high and 1 inch wide. You are visitor number 790 to this page.